There is an easy way to get rid of stress, by inhaling fragrances from plants. The smell of these plants will help make you a more relaxed and calm. According to Dr. Alan Huck (neurology psychiatry and Director of the Smell and Taste Research Center in Chicago), the smell directly affects the human brain, like a narcotic. Apparently the nose we have the ability to differentiate more than 100,000 different aroma that affect us and it happened without us knowing. Aroma is affecting parts of the brain associated with mood, emotion, memory, and learning. For example, with the smell of lavender it will increase the alpha waves in the brain, and the wave is what helps us to feel relaxed. While with the smell of jasmine will increase beta waves in the brain that increase agility and alertness. The plant is popularly used as an ingredient in cooking. The smell of this plant can be useful to reduce the pressure caused by the stress of rosemary able to relax the muscles of the body stiff. Even the efficacy of rosemary for relaxation is recognized by the Greeks since many years ago. The Greeks often use a series of rosemary on their heads because they can have a relaxing effect on the brain. Lavender is also efficacious as a super herb that can relieve stress. 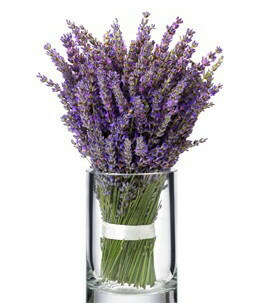 The smell of lavender is able to stimulate the immune system and soothe the skin. You can use it as one of the essential oils to massage the body, or taking tea with the scent of lavender. If you do not like this way, you can also get this from lavender fragrance perfumes, air fresheners, and others. Smelling the aroma can help you release tension. Green tea is already known to have various health benefits. Not only for health, it turns out that green tea can help relieve the stress of amino acids called thiamine. Thiamine is useful for reducing all the stress hormones. To avoid stress, you should at least enjoy about 3-4 cups. Chamomile is one herb that can cure fever. In addition, chamomile can also help make the skin more radiant and definitely relieve stress. The aroma of chamomile can be obtained from a cup of chamomile tea. Sage claimed more effectively calms the brain than other stress relievers. The strong aroma of the sage can be used to calm the body, muscles and brain.